The study of online gaming is changing. It is no longer enough to analyse one type of online community in order to understand the plethora of players who take part in online worlds and the behaviours they exhibit. 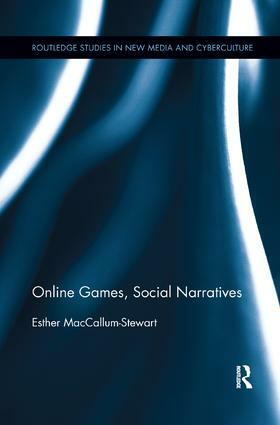 MacCallum-Stewart studies the different ways in which online games create social environments and how players choose to interpret these. These games vary from the immensely popular social networking games on Facebook such as Farmville to Massively Multiplayer Online Roleplaying Games to "Free to Play" online gaming and console communities such as players of Xbox Live and PS3 games. Each chapter deals with a different aspect of social gaming online, breaking down when games are social and what narrative devices make them so. This cross-disciplinary study will appeal to those interested in cyberculture, the evolution of gaming technology, and sociologies of media.